This durable and UV resistant Screening Spline by Everbilt is used for replacement of window and door screens. Made from flexible PVC, it creates a secure fit around the screen frame when used with the Spline Roller. It can be used with any fiberglass, aluminum, and pet screens. The Screening Spline is easy to use and is designed for the Do- It- Yourselfer. Available in black. Make installation of screen material into frame channel fast and easy with Everbilt screening splines. Available in two sizes, they can be used with a variety of screen materials including fiberglass, aluminum and pet screen. 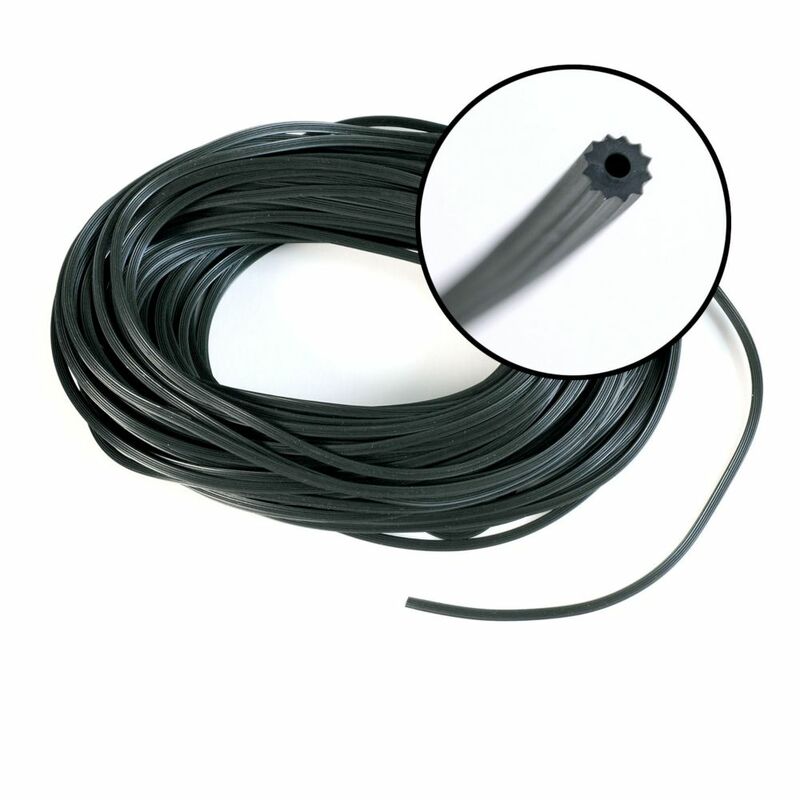 .160-inch x 100 ft. Black Spline This Serrated Vinyl Spline is for use in replacing screens in windows and doors. It is available in various diameters to form a tight fit when rolling the screen into the frame. Designed for the do-it-yourselfer, this spline is available in black and also gray and is great for small jobs and large jobs. .160-inch x 100 ft. Black Spline is rated 4.4 out of 5 by 13. Rated 5 out of 5 by HomeDepotCustomer from Fit very well in older screens.... Fit very well in older screens. Rated 4 out of 5 by JPAmows from This spline works well for the screens I have. You need to be careful with the sizing because to... This spline works well for the screens I have. You need to be careful with the sizing because too thin won't stay in and too thick is too difficult to install. Rated 5 out of 5 by DgTn from Excellent, did the job without a glitch. Used with... Excellent, did the job without a glitch. Used with Pet Screen in the Screen Tight system. It looks great and the cats can't tear it. Rated 5 out of 5 by James from Worked well.... Worked well. Rated 4 out of 5 by Donald from Worked well with aluminum screen.... Worked well with aluminum screen.